A skinny college student suffered a broken neck during a ‘wrestling match’ with a 15-stone teacher sparking an investigation into their ‘mismatched’ fight, it has emerged. Imaam Usmin, 18, says he felt a bone crack in his neck after the un-named teacher accidentally fell on top of him as they wrestled during a Public Services class at Bradford College. The teenager – who at the time weighed just eight stone – was being taught key skills to help further his dream of becoming a police officer when he suffered the serious injury. Imaam’s family said the pupil and teacher – who they estimated was double his size – had been ‘mismatched’ during the exercise which led to the accident. The teenager said he had reservations about taking part in the wrestling session amid fears he didn’t stand a chance against the heavy-weight teacher. But, after refusing three times, he was forced to participate after staff allegedly threatened to discipline him for ‘bad behaviour’. The teenager from Bradford, West Yorkshire, said: ‘They took us on a six-mile hike and then to a park near Grosvenor Road. ‘They made us do activities like wheelbarrow and one-legged races and then wrestling. Imaam was initially taken to Bradford Royal Infirmary by one of the teachers, who he claims downplayed the extent of his injuries despite describing the pain as excruciating. Following initial checks, the distraught teen was given a neck brace to wear for a month but the injury failed to heal properly and doctors at Leeds General Infirmary decided to operate. Medics carried out the operation to replace the cracked bone with a metal plate last week. 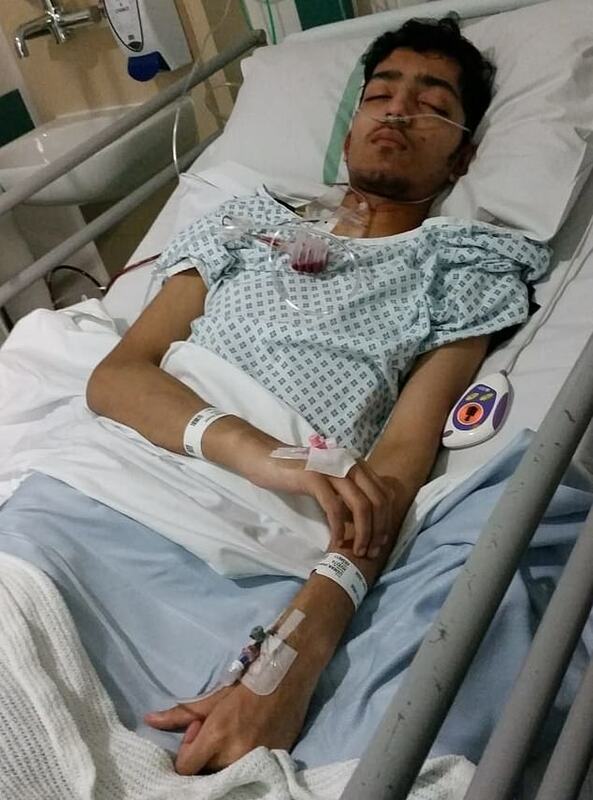 Imaam spent five days in hospital and the ordeal has seen him lose a stone in weight. He now fears the injury has dashed his hopes of joining the police and he will now have to turn his attention to another career. ‘I don’t know if I will be able to go back to college,’ he added. His father, Osman Usmin Sharif, 39, said the college should not have allowed the wrestling to go ahead. ‘This was a mismatch and they should not have made him wrestle,’ he added. ‘They have put a plate in his neck and he may struggle to look in blind spots. ‘If he can’t do that, he can’t drive and can’t join the police. They added: ‘The safety of students and staff is paramount and any incidents are treated with the utmost seriousness. ‘This incident was reported to the Health and Safety Executive and a full investigation was launched in line with our policies and procedures. A HSE spokesperson said it is not investigating the incident because it does not fall into its remit. They added: ‘HSE was made aware of this incident but we determined this incident does not fall within any of the categories within our set criteria that would lead us to investigate. 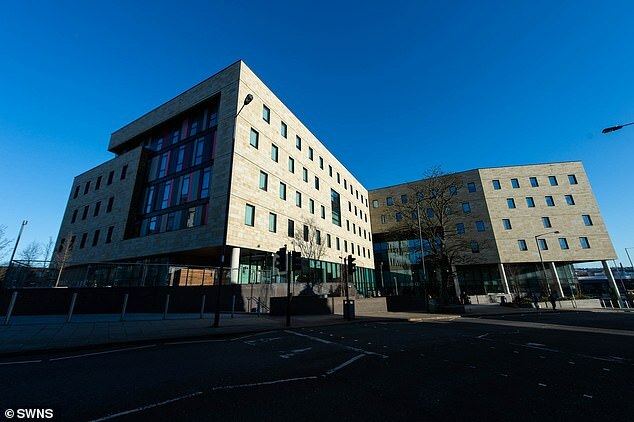 The Bradford College website states that students taking part in the Public Services course will be taught by a team of experienced tutors and ex-serving professionals. The website adds that: ‘Our courses aim to offer real-world learning and that’s why some of our programmes require you to wear a uniform.